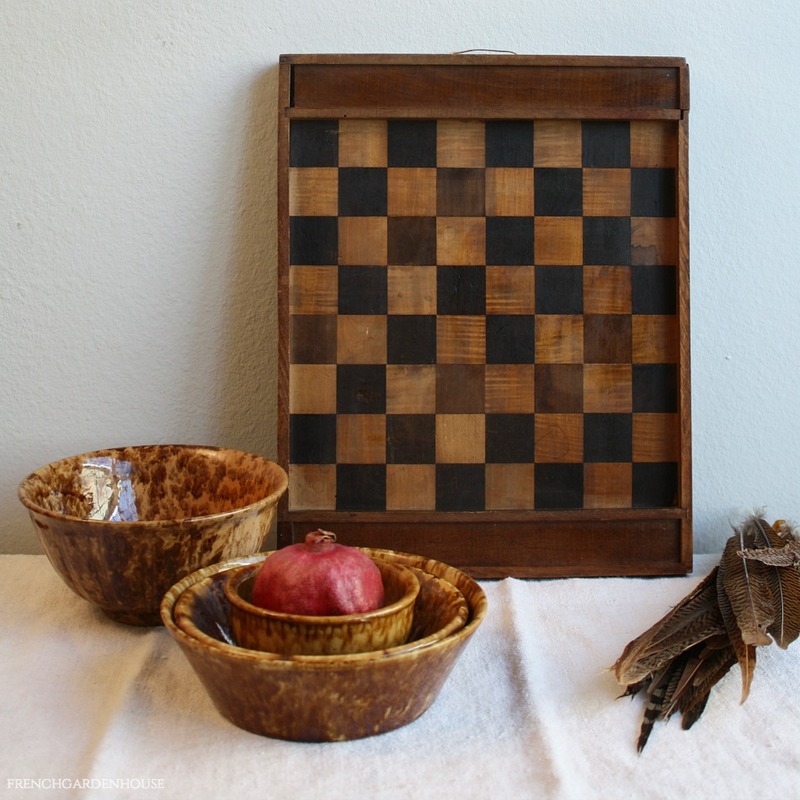 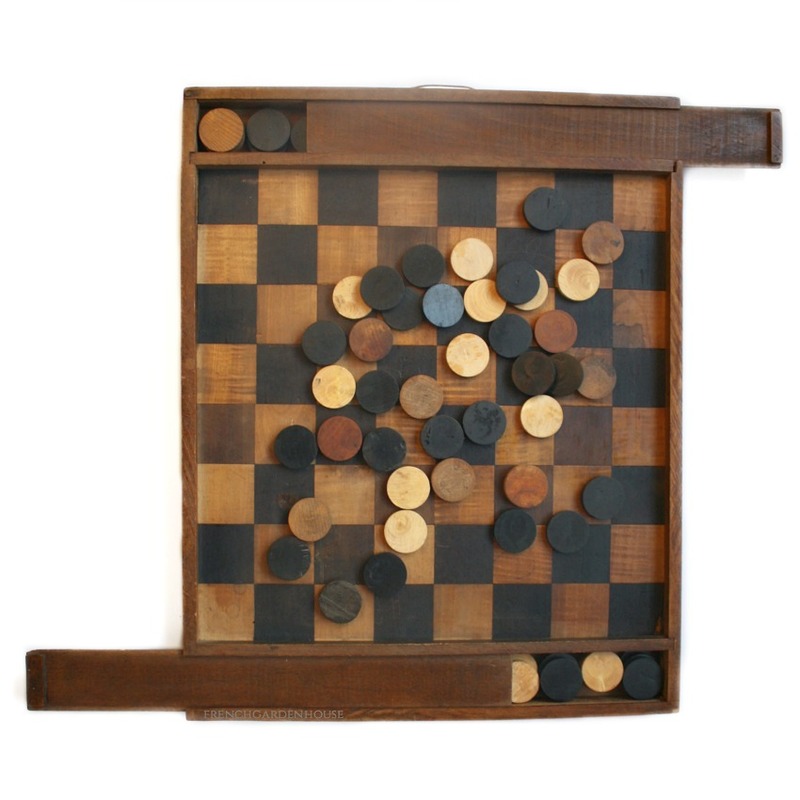 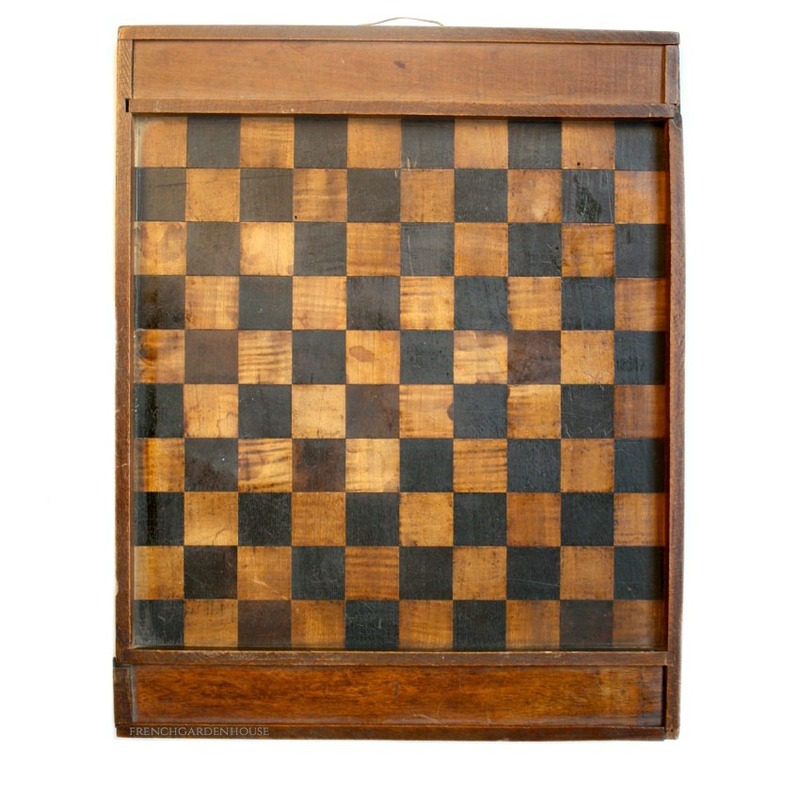 Beautiful Antique Double Sided Gameboard or checkerboard with applied molding and fitted compartments for pieces on both ends. A decorator's delight, the game board comes with a string "hook" for hanging on the wall. Painted black squares alternate with the dark stained wood. 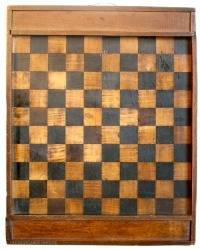 The compartments are covered with sliding tops. 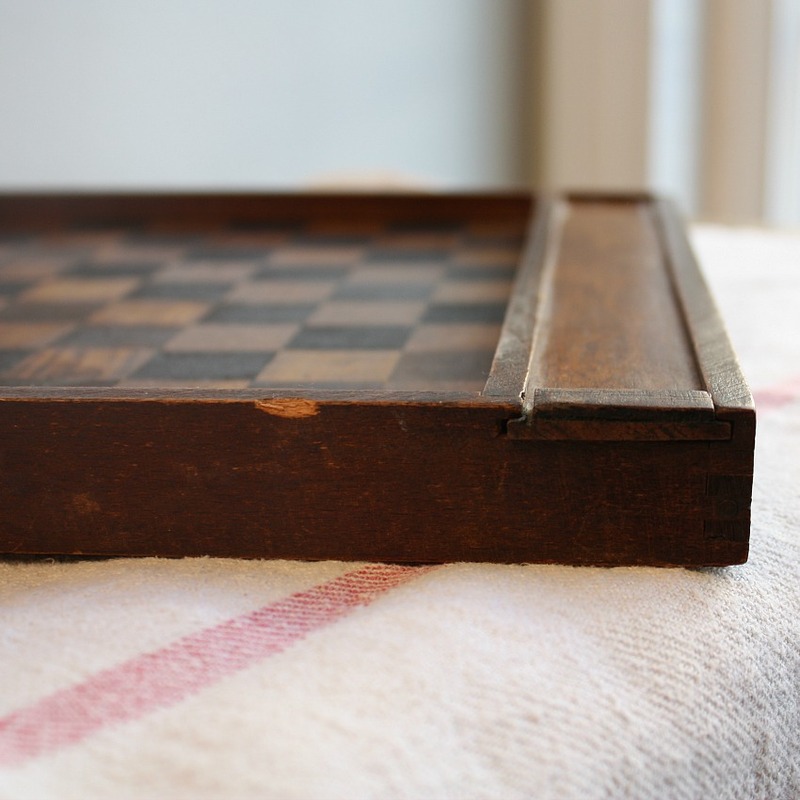 A fantastic addition to any French Country or primitive style home, this board was crafted with dovetail joinery. 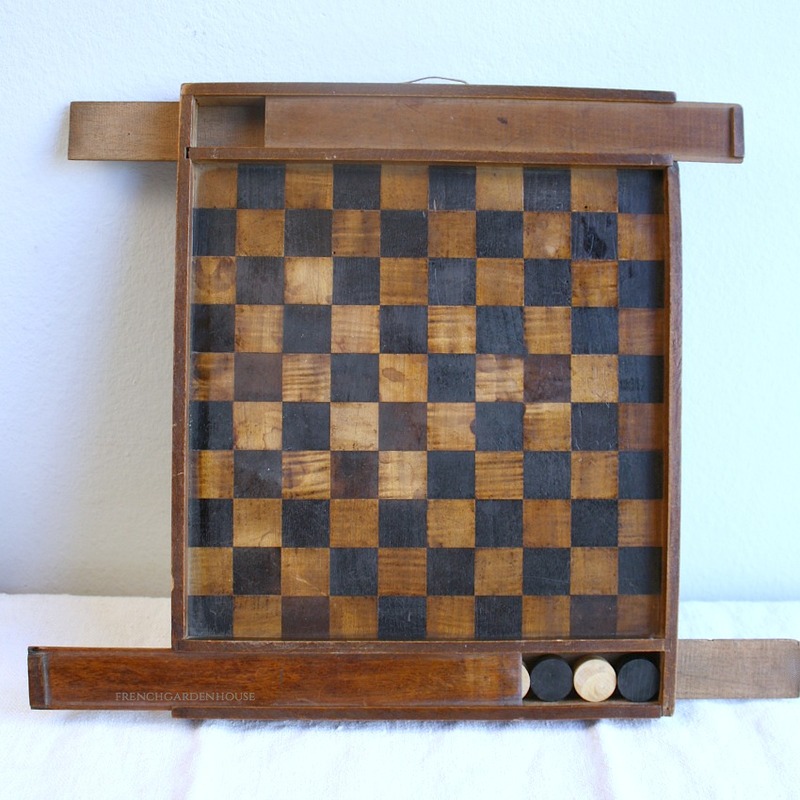 Minor losses and staining as shown, comes with a bag of checkers or playing pieces, most of those have been replaced over the years by newer ones, but a treat to find an antique game board obviously still enjoyed for a game or two! Measures 14-1/2" x 11-1/2" x 1-1/4".